David and Tabatha have over 15 years experience performing and working with children. 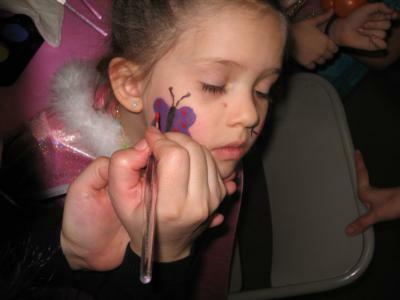 We offer complete children's party entertainment. David performs engaging and entertaining magic shows for all ages and events. He specializes in family shows; a fun, amazing show for the birthday child that will engage and entertain the entire family from 4-104. Also, he loves to perform walk around, and close up magic that will blow you away! As a Christian he loves to perform gospel magic that illustrates the truths of the scriptures. 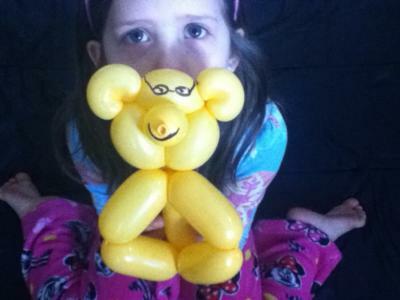 Because Tabatha is a very talented balloon artist and face painter, children and adults alike will enjoy the show. Now offering glitter tattoos and bounces. Contact now before we book up! Please note D & T Children's Party Entertainment will also travel to Cloverdale, Daleville, Salem, Vinton, Troutville, Blue Ridge, Fincastle, Villamont, Catawba, New Castle, Hardy, Montvale, Neola, Boones Mill, Thaxton, Bent Mountain, Goodview, Lafayette, Elliston, Oriskany, Buchanan, Eagle Rock, Fairlea, Wirtz, Moneta, Callaway, Paint Bank, Shawsville, Redwood, Sarton.